Scott Redding believes his new crew chief Chris Pike is the right man to help him to challenge MotoGP’s established elite like Marc Marquez, Valentino Rossi and Jorge Lorenzo in the future. Pike is something of a surprise choice to be Redding’s 2015 crew chief given he has no MotoGP experience, but he is highly respected by Honda having worked previously for the Castrol-backed WSB squad. 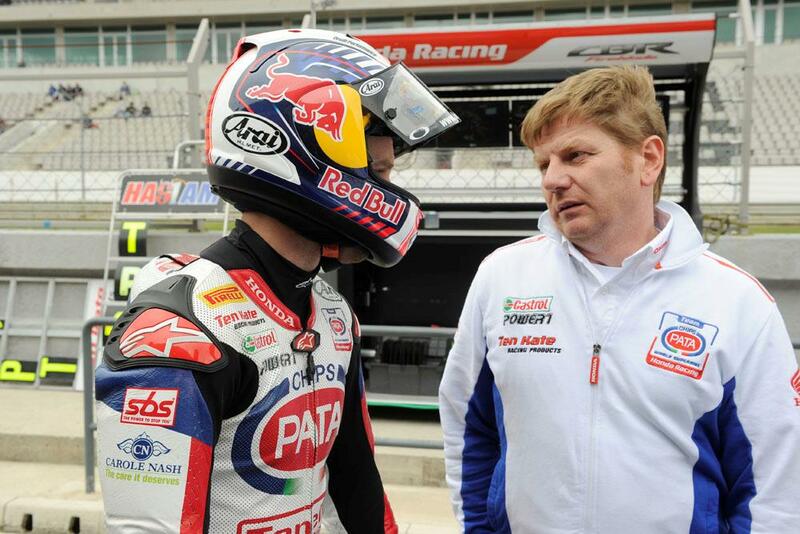 Pike, who most recently has been working with Jonathan Rea in the Ten Kate Honda WSB squad, will be Redding’s crew chief in the new Marc VDS Racing Honda MotoGP squad. Marc VDS will expand into MotoGP next season, as well as maintaining its high profile presence in Moto2 and has re-signed Redding on a two-year deal to ride a factory RC213V. Redding said he isn’t worried about Pike’s lack of MotoGP experience given how Valentino Rossi’s successful relationship with ex-WSB crew chief Silvano Galbusera, who replaced Burgess for 2014.